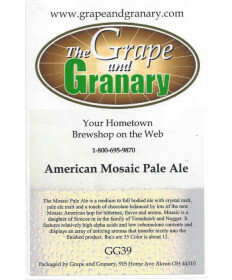 Once you are sure you have all the proper equipment that you will need to produce your home brew; it’s time to get the ingredients put together. 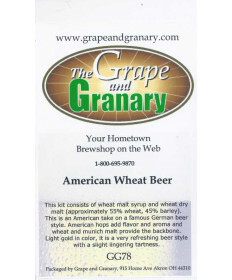 Grape and Granary offers a truly vast collection of different ingredient kits to ensure you can produce whatever style of beer your heart (or maybe your taste buds) desire. Looking for American pale ale? How about a Belgian Tripel? German Pilsner? Imperial IPA? 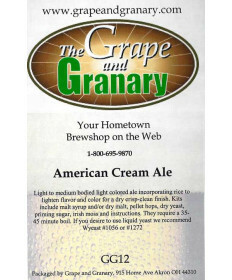 Irish Red Ale? Don't worry; we have all those and more! Take a look through our full collection of homebrewing kits and style options. Contact us if you have any questions.